How did Mill Grove start? On November 20th 1899, Herbert White asked Rosa Hutchin to provide a home for a little girl, Rosie, who was grieving and destitute because her mother had just died. It was a spontaneous expression of their Christian commitment and love. Rosa shared her little flat, and Herbert agreed to provide the necessary finance. Herbert had lost his own mother as a teenager, and so he knew from personal experience something of the pain of separation. 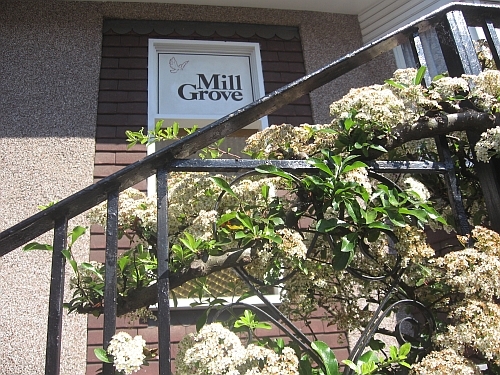 Why is it called “Mill Grove”? The name, chosen in 1976, refers to the two places where the family has lived. Our home is near the River Roding, and until the 20th century, there used to be a mill which later became an inn, beside the river. It has since disappeared, as has a garage named after it. 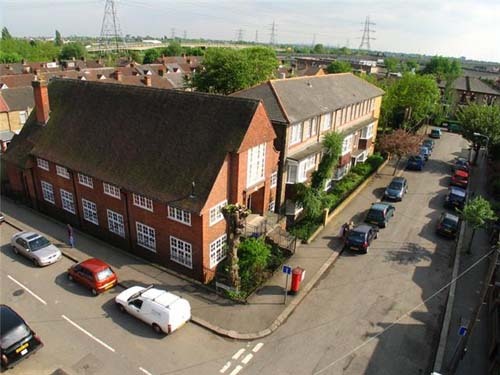 The mill, as far as we know, was one of the earliest buildings in our neighbourhood, so the first word in our name identifies us with this part of South Woodford. Tiptree is a town in Essex a few miles from the North Sea, and famous for Wilkin’s Jam. 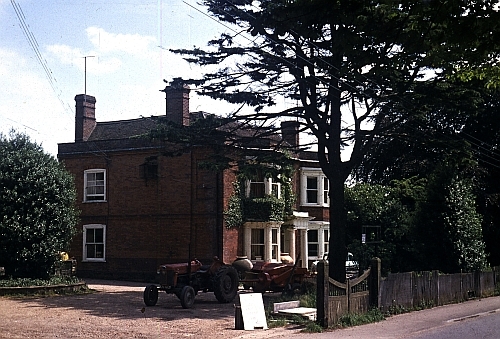 It was here from 1939 for several years that the family of Mill Grove lived in a house called “The Grove”. The children went during the years of the Second World War to Tiptree Heath School. The house is no longer standing, and just one feature, a large Cedar Tree marks the place which has such a special place in the story of Mill Grove. 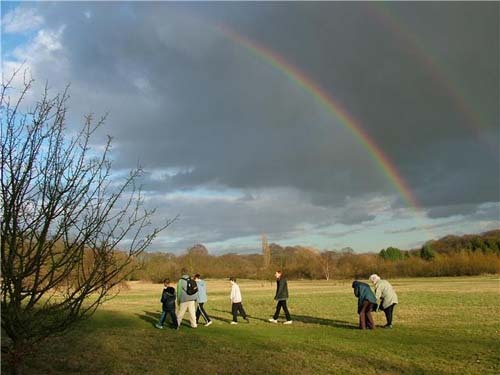 Every year members of the family return to worship with members of Tiptree United Reformed Church, and to explore parts of the town and seaside which hold childhood memories. Rosa (“Ma”) Hutchin, co-founder of Mill Grove is buried in the grounds of Tiptree URC. What is the connection to North Wales? Since 1976 the Mill Grove family has enjoyed summer holidays in North Wales. For the first few years we used tents and caravans, but in 1984 we purchased the first of two terraced houses that now belong to us. They are in the harbour village of Borth y Gest. We use them during the summer holidays, but members of the wider family enjoy staying at different times throughout the year. 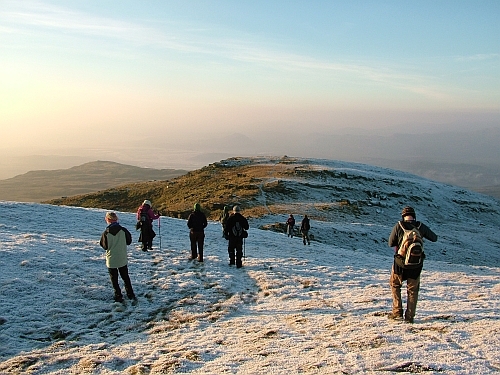 Over the years we have come to develop skills and have a pool of experience and wisdom that enable us to explore the mountains, lakes, rivers, mines, caves and seas in Snowdonia. And those who spent holidays there as children delight in taking their own children to a place and area with so many special memories and associations. Where does the financial support come from? Most of our income comes from the gifts of Christian individuals, families and churches. Many churches send us their harvest produce. There is no formal government or local authority funding or support. Some who ask for help or facilities make a donation as they feel able. As we rely on charitable giving and make no appeal for help, some people have described it as a “work of faith”.